Supersister by Beth Cadena, illustrated by Frank W. Dormer – a little girl appears to be full of herself — until you get to the sweet ending. My Abuelita by Tony Johnston, illustrated by Yuyi Morales – from a child’s perspective about living with her larger-than-life grandmother. Spanish words sprinkled throughout. 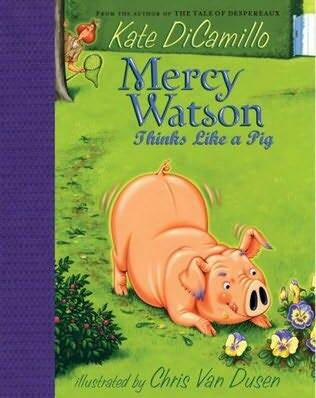 Mercy Watson series by Kate DiCamillo, illustrated by Chris Van Dusen – my 3 reading children think these books are hysterical. Silly, silly, silly with cute illustrations. 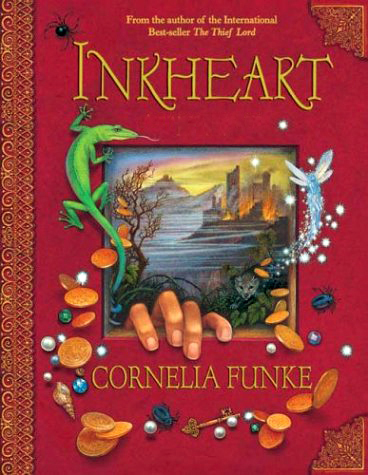 Inkheart by Cornelia Flunke – this one was a big hit with my 12-year old son. Almost as intriguing as Harry Potter. Milkmaid, I thought I had you on my google reader but when I came to check out about the printer ink I see you have done lots of blogging I missed! Banjo loved Inkheart as well. Did you read it? And did you know it is part of a series? We haven’t read the others, maybe this summer. Will be adding you to the google reader….